Welcome To The Port Huron High School Bands Website!!! With traditions of excellence dating back to 1923, the Band Program at Port Huron High School can truly be referred to as the "Pride of Big Red Country". This website is dedicated to preserving the heritage of the band program at PH and serves as a tribute to the thousands of students whose lives have been enriched by instrumental music at Port Huron High. THANK YOU for visiting our site and "As Always..........Go Big Reds!". This summer saw the end of an era in "Big Red Country" as we lost a true Big Red treasure.........after over a decade of "helping" with the Big Red Marching Machine at every practice, festival, trip and performance, Mr. Bill Veal announced that he would not be returning as a Big Red "Coach". Mr. Veals tireless, selfless contributions to the BRMM can never be measured....the lives he touched as both a teacher and mentor will forever be shaped by his dedication and devotion. ​THANK YOU Mr. Veal.........Once a Big Red.....Always a Big Red!!!!! 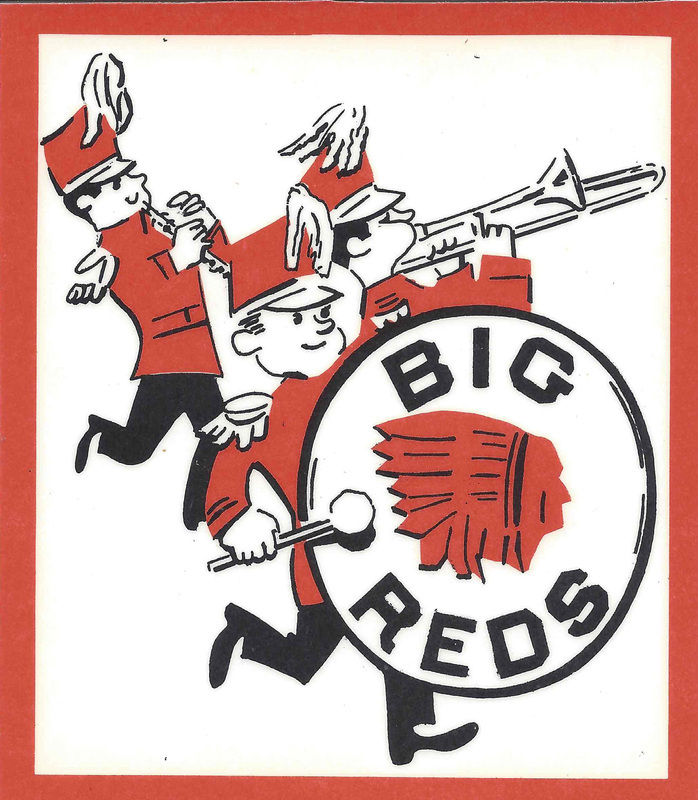 ​Check out the Port Huron High School Digital Museum Collection of wonderful Big Red Band Artifacts!!!! 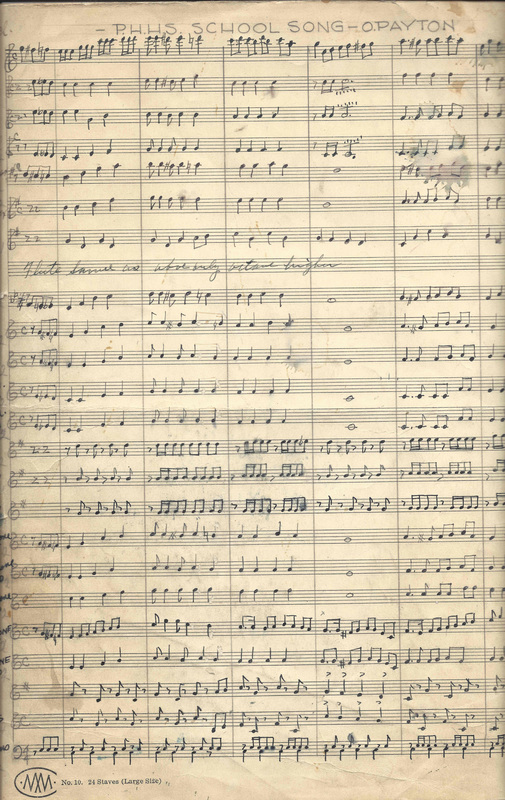 Original Score to the Port Huron High "School Song"
The PHHS School Song or "Fight Song" as it is called today, was composed in 1941 by Orville Payton as part of a school-wide contest for students attending Port Huron High School. She Stand's For All That's Right! Today And All Life Long"